Home » Uncategorized » We’ve been featured on Occasions! We’ve been featured on Occasions! 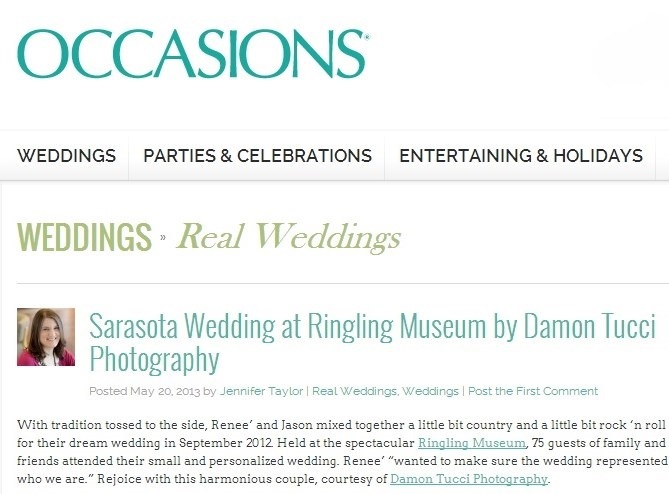 NK Productions has been featured in Occasions blog! Renee and Jason’s “lady gaga goes country” wedding was so awesome! Loved all the details and thought this couple put into their big day. Such a fun wedding to plan at the John and Mable Ringling Museum of Art with Damon Tucci Photography and Rogelio Jose Capote!